There are many times when your survey dataset includes unstructured text data such as responses to open-ended questions. The text analysis feature in Survey Analytics' Enterprise Research Platform helps you derive valuable insights from unstructured text data. You can code your unstructured text data into categories, allowing for quantitative analysis. 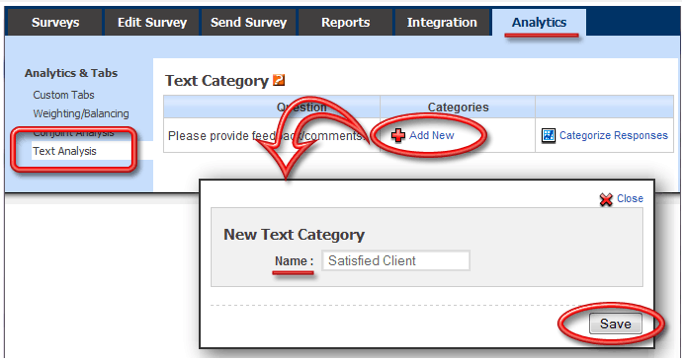 Use the text analysis feature of Survey Analytics software to set up and analyze text categories in your data. Click on "Text Analysis" under the "Analytics" tab. Under "categories," click "add new," then add in each of the categories into which you want to code your data, clicking "save" after you add each one. Once you have saved the categories for your analysis, click "categorize responses" in order to begin the coding process. For each unstructured text response, simply click on the appropriate category to code that response in the category. Please note, you can categorize a response in more than one category if you so choose. Once you have completed the coding process, the coded responses are available for quantitative analysis. 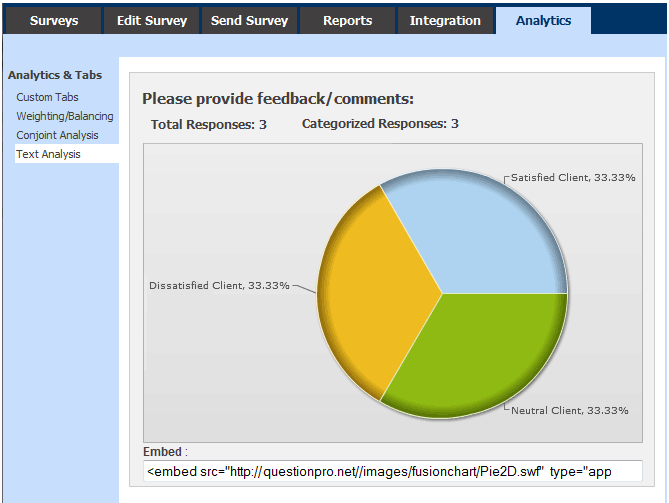 You will be able to view charts showing the distribution of categorized responses.